Keisuke Ito was a Japanese medical practitioner and biologist who is best known for devising a smallpox vaccine in 1852. Keisuke Ito was a noted physician and naturalist. 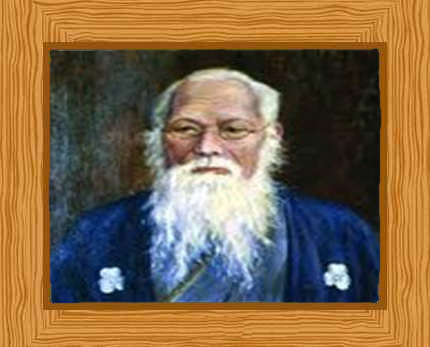 He was born in Nagoya city on 18 February in 1803 and was known initially the name Gofuku-cho. His father, a doctor, was Gendo Nishimaya. From a very early age, Keisuke Ito learned about his father’s profession and studied Confucianism and medicine with the help and support of his father. But a mind such as his wasn’t to be contained in just those two subjects; he also developed a keen interest in botany. He was a very talented young man and in 1820, his career as a medical practitioner started; he was only 18 years old at the time. The year he turned 19, he left his home town and moved to Kyoto where he studied European sciences. In 1827 Keisuke Ito, now 25, travelled to Nagasaki to study Western science under the famous botanist and physician, Philipp von Siebold who was working in Japan as a medical practitioner. Keisuke Ito learnt and flourished from Siebold’s teachings. So great was his learning from von Siebold that his time under the teacher was the turning point in his flourishing academic career. On his 27th birthday he had the honor of issuing his first publication called “Tasei Bonzou Meiso”; a book about plant names and their Japanese and Chinese translations. He published seventeen more books; two of which are very well-know “Nippon Sanbutsishu” and “Nippon Shokobutsu zusetsu soubu”. In 1852, Keisuke Ito produced his best accomplishment in the form of a smallpox vaccine. That year, he was given an order by lord of the Owari clan to have a look at the methods for vaccination that were used to deal with smallpox which was a big problem in Japan. Keisuke Ito was up to the challenge and devised a special vaccination method for use in Japan. Keisuke Ito’s vaccine was successfully used for decades in Japan and saved many lives. His smallpox vaccination began further research into the creation of other vaccinations in Japan and around the world. As part of his work for the Lord, he practiced medicine in the area o Owari and worked hard to promote the natural sciences in the area. Japan saw abolition of the clans in 1868 and, in their place, prefectures were put up. During this time Keisuke Ito placed an emphasis on how important Western medicine was and how there was a need for a medical school. He, along with some ardent supporters, managed to convince the Aichi Prefecture of this need and the first ever medical school was established in the former Supreme Court building that used to belong to the Nagoya clan. Interestingly enough, this was the very beginning of the Nagoya University. In 1881 Keisuke Ito was made a professor at the University of Tokyo and he obtained his doctorate in 1888. He had the honor of becoming the first ever director of the University Graduates Society, a position he held with honor and pride. In 1901 he was once again given a great honor and was made professor emeritus; he was also bestowed with the honorable title of baron. Keisuke Ito passed away at the age of 98 on 20 January in 1901.